Fulcrum are a visual spectacle of balance, strength and grace. 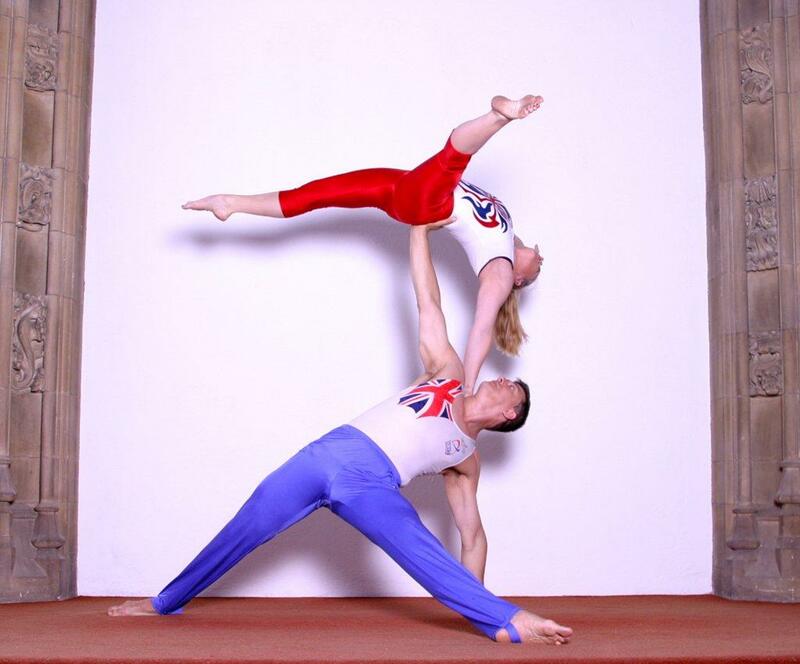 Both performers come from a gymnastic background competing for their country and have even been British Champions! They have much experience at many different events; including weddings, corporate, theme parks, galas and most recently cruise ships. 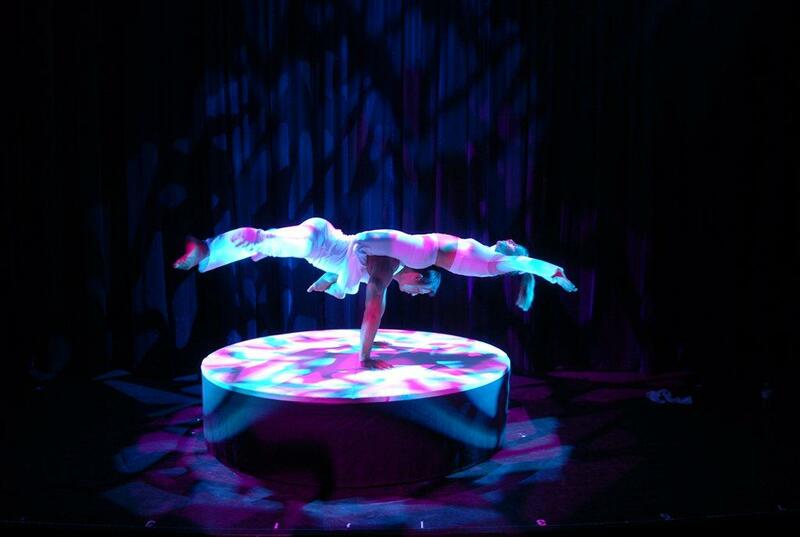 This stunning acts creates a jaw dropping blend of symmetry and balance that has to be seen to be believed. 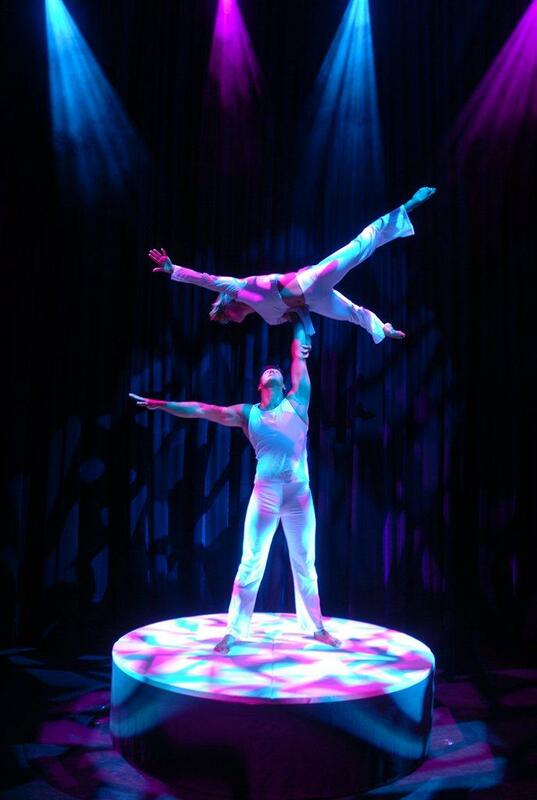 Fulcrum are available as a staged performance and they also perform acrobatic walkabout. The show lasts 5.5 – 6.5 minutes, the trapeze act lasts 7 minutes and the walkabout act is 3 sets x 20 minutes. Brown textured cat suits and shiny funky marble, like blue costumes in images. White costumes. All are a two part vest and top. 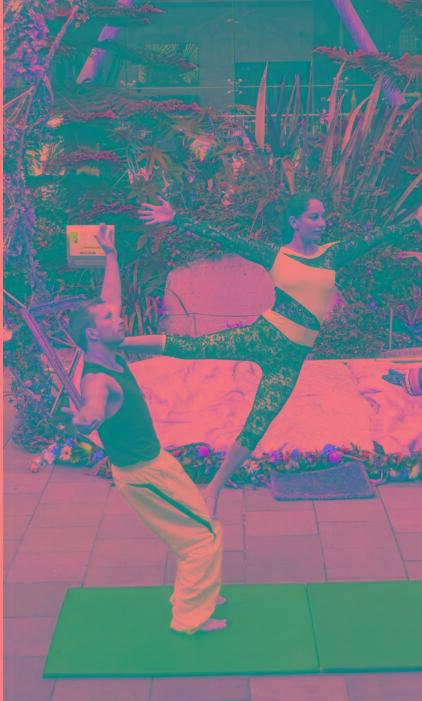 Acrobatic Adagio, min 4 ft sq floor space. Static Trapeze, min 7 metre height, min floor space 6 x 3 metres. Podium Statue, This is 6’6″ in diameter and a metre high.